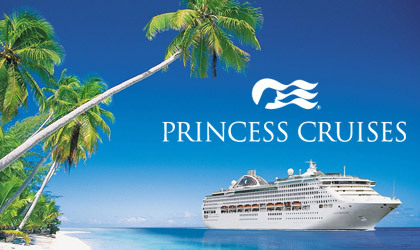 The cruise line, Princess Cruises is holding open auditions in Orlando. The cruise line is looking to cast performers to fill various roles in shows that are performed on-board the ship. Performers in the Orlando area who would love to tryout are able to attend an in-person open call that is coming up next month. Open Call for Male & Female dancers. Dancers should be warmed up and ready to dance in appropriate dance attire and shoes with a picture and current CV. Women should bring character heels and a flat dance shoe or sneakers. Men should wear dance shoes that they can turn in or sneakers. You will not be allowed to dance barefoot or in socks. MALE DANCERS: early 20’s to early 30’s, actively seeking all ethnicities. Seeking fit, athletic dancers with strong technical training and outgoing personalities. No singing required. FEMALE DANCERS: early 20’s to early 30’s, actively seeking all ethnicities. Seeking fit, athletic dancers with strong technical training and outgoing personalities. No singing required. Open Call for Male & Female singers. Singers please prepare 16 bars of two contrasting songs, the first should be rock, contemporary pop, or R&B, and the second should be Broadway/West End musical theatre that best shows off their range. Women should prepare a theatre song that shows off their soprano to with at least at G5. If women do not have a soprano song that shows the G5, they will not be asked to sing their second song. Please bring sheet music and an accompanist will be provided.You will not be allowed to sing without sheet music. Performers should lead with their contemporary pop, rock or R&B song first.They may not be asked to do their musical theatre song. In addition, singers may be asked to come back for a movement call later that day. Please bring a picture and resume. MALE VOCALISTS: 20’s – 40’s, Actively seeking all ethnicities. High Baritone to Tenor – Full voice, A4 above middle C.
FEMALE VOCALISTS: 20’s – 40’s, Actively seeking all ethnicities. Full voice rock belt to at least C above middle C who also have a legit soprano up to a minimum of G5.There are NO belt only tracks on our ships.